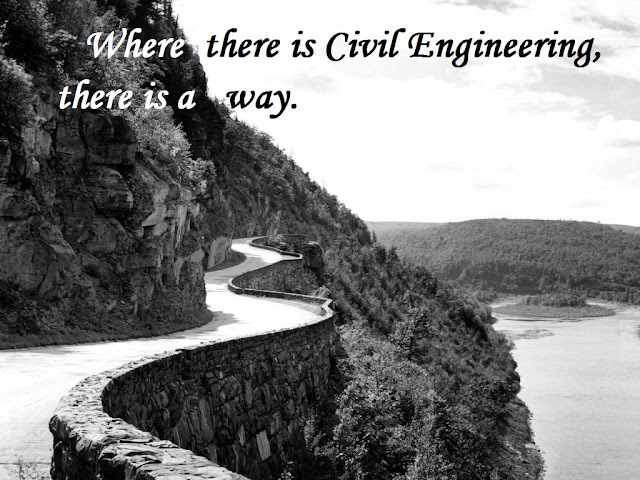 Where there is Civil Engineering, there is a way. 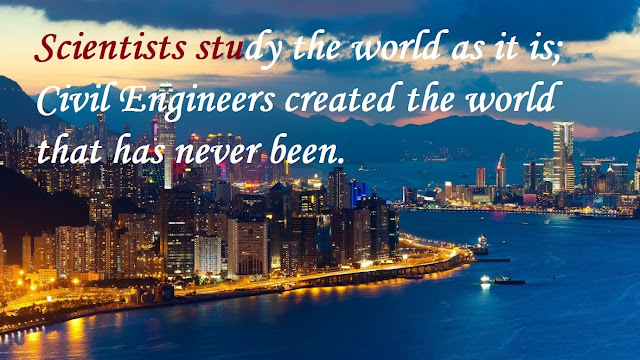 Scientists study the world as it is; Civil Engineers created the world that has never been. 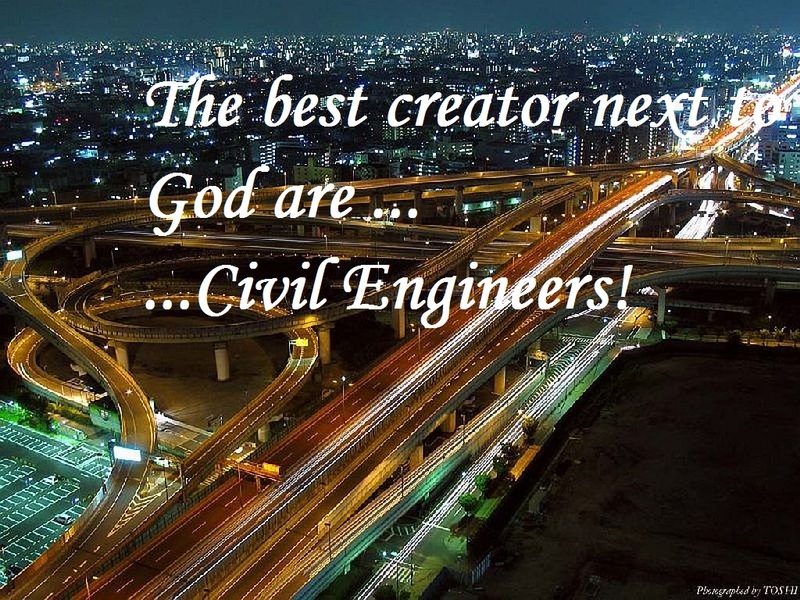 The best creators next to God are Civil Engineers. Everyday is an adventure, When you are a Civil Engineer. 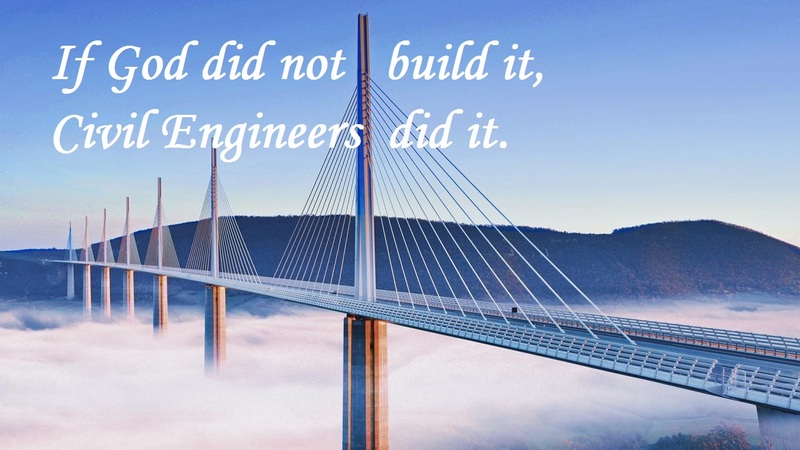 If God did not build it, Civil Engineers did it. 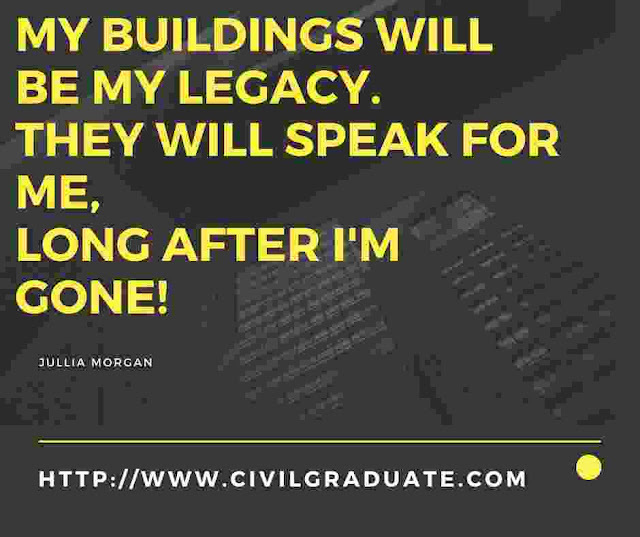 My Building Will be my Legacy. They will speak for me, long after I'm gone!